A common mistake made by evangelical pastors today is to forsake the systematic teaching of Scripture (verse by verse exposition) in favor of topical messages that address the 'felt needs' of the hearers. For example, pastors begin with what they perceive to be a relevant problem in the lives of their congregation (money, marriage, family, etc...) and then craft a message--or series of messages--around the topic, often using proof texts pulled from their context. Throw in a few humorous and interesting illustrations, and "BAM" - you have a 'relevant' Sunday morning talk., and everyone thinks they've benefited from going to church. Unfortunately, topical preaching that revolves around felt needs is in danger of producing a generation of people ignorant of the transformative power of God's Word. Preacher talks can be relevant and entertaining without an emphasis on God's Word, but they can never regenerate and enliven. Scripture is the 'seed' that produces life. Any biblical text deliberately lifted from its context turns into a dangerous pretext. Andy Stanley would never preach from this text. Why? Because he states in his book Deep and Wide, "While all Scripture is equally inspired, it's not all equally applicable" (p. 185). For this reason, Andy suggests that Scripture texts like the above should not be taught "in big church" (p. 188). You should pick and choose another text which is more 'applicable' to the Sunday morning hearer. Andy's teaching approach is becoming more and more common among young pastors. I can understand why. It's more enjoyable for the teacher to prepare topical messages. It's far easier for the hearer to apply a topical messages. However, I would like to prove in this post that skipping some texts, and picking and choosing better 'applicable texts,' may inadvertently cause people to miss extraordinary, life transformative truth. Look again at that difficult Luke 3:1-2 passage. The physician Luke is introducing seven political and religious leaders who ruled the people during Jesus' day. These seven people--two Roman rulers, three Hebrew political leaders, and two Jewish religious leaders--eventually became the chief antagonists of Jesus Christ throughout His earthly ministry. If it were not important for us to know them, Luke would have not named them. Let's take a look at them. In the ethnic melting pot we call the United States, it is difficult to find a modern equivalent to the tetrarchy positions held by Herod, Philip, and Lysanias. The closest equivalent might be those men who rule over individual political parties, major corporations, unions, and other powerful economic, political, and cultural entities within America. These positions aren't the highest authority, for they must answer to 'Caesar,' but they have a great deal of influence over a specific category of people. Ironic, is it not, that modern evangelical preachers rail against and condemn President Obama, state governmental leaders, the immoral behavior of business and cultural icons, but there is an appalling silence when it comes to religious leaders who become rich off the tithes and offerings of God's people? There are many places that Jesus condemns the religiously rich (i.e. 'the chief priests') throughout the New Testament, but the most striking example of his imprecatory words against Caiaphas and Annas is found in a parable that is more than a parable. Caiaphas is the rich man in Jesus parable of "The Rich Man and Lazarus." Caiaphas is the man "who lifted up his eyes in hell." Caiaphas, the equivalent to a modern religious leader who becomes rich through his religious service, is condemned by Jesus Christ. How do we know this to be true? That, my friend, is the sorry state of evangelical preaching today. It's taking a text (the Rich Man and Lazarus) out of its context (the resurrection of Lazarus and the chief priests desire to kill Lazarus instead of believing on Christ) and turning it into a pretext (the false conclusion that the parable is about a person letting go of his money and giving it to the church). (1). Any of us who are working in ministry to become rich through our religious service may wake up one day in hell, facing the holy judgment of God. (2). Instead of railing against the world and our American culture, be it politics, business, Hollywood or some other segment of society, we preachers ought to reserve our harshest words for the religiously rich among us, that is those who become rich through their religious service, and focus more on policing ourselves than we do the world. (3). We do our Sunday morning crowd a favor when we teach them the Scriptures verse by verse because we prevent them any application from false conclusions and will give the hearer a better appreciation for the words and ministry of Jesus Christ. Sure is a lot of writing and research just to take a shot at Andy Stanley. Without that, it would have been a good and educational post. I would suggest, anonymous, that your read the post before you comment. I purchased 25 of Andy Stanley's books "Deep and Wide" and we are going through the books during our staff devotions every Tuesday. It is the best book we have discussed as a staff in over 10 years. Some terrific ideas. This post is not a 'shot' at Andy Stanley. It is a disagreement on the Sunday morning teaching ministry, but there is a difference between opposing a principle and opposing a person. It seems "expository" preaching carries a very broad meaning today. I am an advocate of exegetical based gospel preaching that may or may not always be working "verse-by-verse" through a book. I would also suggest that even within expository verse-by-verse preaching you must make decisions on what to preach and what not to preach. Do I preach OT or NT, John or Exodus, etc.? You are also making constant choices on content. You must choose points of emphasis, the direction to take the application, etc. In other words, it is still an art that is largely crafted by the speaker's choices (even when content is driven by the text). A wise preacher will tend to make these decisions based on his audience. I have heard Andy Stanley say that expository preaching is more natural and easier for him. And if you listen to "early" Andy, he was more of an expository style preacher. He says what is difficult for him is taking the truths of Scripture and preaching them in a way that connects to his audience. That is the gist of his statement that "All Scripture is equally true but not all Scripture is equally applicable." If we are honest, we all agree with that statement at some level. I've never heard the most ardent of expository preachers work verse-by-verse through Leviticus or Numbers. I have listened to series-based preachers do some great exegesis and I have heard "expository" preachers give some sermons that were simply topical but cloaked in what was supposed to be exegesis. In my opinion, the pendulum can swing too far in either direction and there is a certain level of pride that if we are not careful can be affiliated with both extremes. In the end, preaching style is a method. It is hard to defend straight expository preaching from the NT example of Jesus and the Early Church. Either way what seems essential is that Jesus is being exalted & the gospel is being proclaimed - regardless of style. It's all in the definitions. Spurgeon was a superb 'exegetical' preacher, but in the end, I'd call him 'expositional' because when you look through his index, he touched on just about every verse in the Bible. I think by "expositional' I mean - "let the Scripture do the teaching." Excellent blog and good points Pastor Wade! Wade, you just blew the doors off with this one. What observation and insight. May I reproduce these giving you absolute credit and that they must regularly visit your site? I would like to use this in both my Bible Study Methods class and my Expository preaching class in the college I teach here in Atlanta. Blessings to you sir and please keep them coming! Excellent post, and I intend to study it in more detail when I have more time. You need to double-check the meaning of "protagonist," however. I'm pretty sure you really meant "antagonist." Thank you sir! Honestly, I was using 'protagonist' in its secondary meaning - "A leading or principal figure" - showing that Jesus interacted with Caiaphas and the chief priests and religious leaders MORE than he did the political leaders of His day. However, after rereading what I've written, and reading your comment, I've decided to go with the more familiar antagonist, though I still believe Caiaphas was the main character in the drama that unfolds in the crucifixion of Christ. Insightful and right on the money! Hi, Is there any way that you could make this article into a pdf so that I could download it to study it? Thanks! Thank you for a top post, and a lot of work. It was good that you included the definition you gave in response to DPaul: "I think by "expositional' I mean - "let the Scripture do the teaching." "
This is a good blog post, but it does have a straw man feel to it. I avoid sermons like the plague, but when someone is teaching history and context I love it. What an excellent post, and a wonderful sociological history lesson. I guess that's the point. For history nerds like moi, there is much to learn from those 'difficult' passages. They put everything in their proper context, rather like the prologue of a Shakespearean play. This is my complaint, as you have brought up, brilliantly, I might add. Thank you for the fascinating history about Annas and his family. And it is interesting to consider that the Rich Man has similarities to Caiaphas. I also like your choice to disagree with Andy Stanley's view of preaching while appreciating other parts of his book. I can learn from that example. How is it that the Rich and Lazarus text in Luke 16 can be seen as in the context of the resurrection of Lazarus in John 11? I see the connection as speculative and not so obvious that we should criticize any teacher who does not use it. I agree that the story is not about tithing to God. I do not recall hearing such an application in my 30+ years of hearing and reading sermons and Bible studies. Do you have an example of such a usage? Raswhiting, I agree with you. This would have been great except for the incredibly speculative interpretation. Wade, you seem to be doing exactly what you are condemning. Using the Bible in a fashion that meets your personal historical desires. You cannot make the decisive claims you are suggesting. Otherwise, I agree with your overall premise. I, too, am left wondering where your sermon outline came from. Who are you taking a potshot against? I haven't ever heard this text used for tithing? Great question. Context is not only verses that come before or come after the text in question, it is the historical context, the grammatical context (local phrases that mean something then, but not now), and Hebrew context (Old Testament knowledge). There are many examples where historical knowledge lead to proper interpretation - for example, Paul's instruction to Timothy - "I forbid (that) woman from teaching men" and the Temple of Diana in Ephesus - the city of Laodicea and the two sister cities to her east and west (one had 'hot' springs and the other 'cold' water with Laodicea in the middle of the open trough water transport system - thus cursed with 'lukewarm' water) and many, many more. I am seeing what I can do about your request for a PDF. Should have it up next week. Wade, thanks for your article..reminds me of the 'Doctor' Martyn Lloyd Jones.He shunned 'topical' messages for expository preaching as seen in his Romans studies..He took many years to go through this book on Friday nights in Westminster Chapel. I was fortunate to be there and his teaching and counsel were vital in many young pastors lives.. Heat and Light was one of his favorite expressions..I can see an echo of this in your Hebrews studies. Great post Wade! My wife and i visited a church in a large city a couple of weeks back. The pastor started with a couple of verses and then told about 20 stories (all of them connected with him some how), he was funny as could be--BUT after you leave you ask yourself--what did i really learn about sin, God, righteousness, etc? It was entertaining but that is it. I can't imagine what it is like to listen to that week in and week out! Keep preaching expository sermons! Expository preaching eliminates the possibility that the Pastor might eliminate some text where the "log in is own eye" is revealed or the text that the "brass name-plate holder" that gives a large percentage of the church budget gets his toes "stepped" on. God's Word will "step" on everyone's toes periodically as we are all under construction to become more Christ like in our daily walk. Gotta agree with Roy's comment also. We find ourselves struggling and pretty much exempting ourselves from the preaching services at church. We lived outside of the evangelical Bible belt many years and worshipped "elsewhere." We got used to sermons and services that were Christ centered and Christ focused. We simply won't waste anymore time on topical, usually political, speeches. Either the preacher opens the Word to us, or we worship online. Thank for great post. I would have to go go back years to see this kind of exposition. I wish there was more "letting the Scripture do the teaching " and less focus on secular , worldly issues. Somehow the sacred and the profane are considered synonymous in some sermons. Actually I have heard a similar interpretation before, and there are verses in Scripture that don't laud wealth, privilege, and secular or religious entitlements. Who was the establishment mentioned in the New Testament. It wasn't only the Romans, but Jewish religious leaders such as the ones you described. Slanting the Word to your own personal desires? Who am I to judge? I commend you for upholding expository preaching. I travel three times a year to El Salvador and Cameroon, Africa to teach conferences to pastors and leaders on how to study the Bible and how to do contextual expository preaching. However, I must take slight issue with you. It seems a stretch to me to say the context of the parable of the rich man and Lazarus is the raising of Lazarus when Luke makes no mention of the connection, other than the same name, which of course is not an identification of the historical Lazarus because he was not a poor beggar. It seems to me that Luke provides his own context for the parable in 16:14, "the Pharisees were lovers of money." Thus the parable is not about the historical Lazarus, or even about hell, but about the dangers and abuses and the uncaring use of wealth. We do not get a clear picture of salvation by faith alone in this parable, but that was not the scope or intent of the parable. So I couldn't agree more strongly with the need for contextual, historical exposition, but I just think this was a little bit of a stretch. I am in the health field. Would it have added more legitimacy to the context with which you composed the exposition if you had referenced Josephus? Sorry for being the critic, but I always look for footnotes and primary literature when I read something. Everything needs to be backed up with evidence. The evidence in this case has to do with the culture at the time and the milieu that birthed Christianity. You can't divorce the culture from the context with what was written in Scripture. Your interpretation is more common than your detractors may assume. And it is not only what is that nastiest of fight words these days, a product of "liberal" scholarship. Read the Bible but please don't throw out the cultural context of a different time and alien culture. It's the Feast of St Lazarus to-day, June 21 ! Simon Perry, argued that the parable of Lazarus also illustrates the New Covenant , showing that those outside the gate are to be included . Wade, an excellent post and gives a fuller understanding to the parable, via background, of the rich man and Lazarus. You write “Expository preaching is avoided by some because of the philosophy that effective preaching comes from 'picking and choosing' topics that are most appropriate to a target audience.” I can’t help but believe that Christ was doing something very similar to this when considering the context of both the 15th and 16th Chapters of Luke. Luke 15:1-3 states “Now the tax collectors and [notorious and especially wicked] sinners were all coming near to [Jesus] to listen to Him” The audience here are primarily tax collectors and sinners and because of their close proximity the scribes and Pharisees. Thus the tone of the following parables of the lost sheep, lost coin and lost son is about redemption and returning to a God whose heart is ever ready to welcome the lost sinner and rejoice in their return. This was great news for his primary audience of tax collectors and sinners and still is so today. Then Luke 16 begins “He also said to His disciples” thus targeting a specific group. Jesus turns to his disciples and deals with them specifically with the parable of the unjust steward with the warning that they cannot serve God and mammon. A warning for all those called of Christ to minister full time to the body of Christ. Finally Christ turns to directly confront the Pharisees, “Now the Pharisees, who were covetous and lovers of money, heard all these things [taken together], and they began to sneer at and ridicule and scoff at Him. But He said to them.” Jesus addresses their cronyism, their indifference to the Kingdom of God and sexual misconduct. He then targets their love of money (the root of all evil) and their misconception regarding wealth through the parable of the rich man and Lazarus. The Pharisees had a saying “whom the Lord loves he makes wealthy.” Therefore one could easily discern who had the favor and love of God by the amount of wealth accumulated. Thus wealth was the premier and signal designation of those accepted by God and pleasing to Him. Of course, the more wealth one accumulated revealed the ones who were the most pleasing and loved of God. The gospel of the prosperity of the believer was alive and well in the times of Christ. Those who embrace the prosperity gospel today believe they have discover a hidden truth of God but have in fact only dug up the same putrid belief system the Pharisees had back in Jesus time. I find it intriguing that the main issues addressed by Christ in Luke 16 concerning the Pharisees are the same main issues prevalent amongst the prosperity preachers and teachers of today. There is nothing new under the sun. Consider what Christ is doing here with this parable. Had a Pharisee been telling this parable with their belief system about wealth the rich man would have been “carried by the angels to Abraham’s bosom” and Lazarus would have died and been buried and discovered “being in torments in Hades.” But Jesus completely turns the theology of the Pharisees upside down. 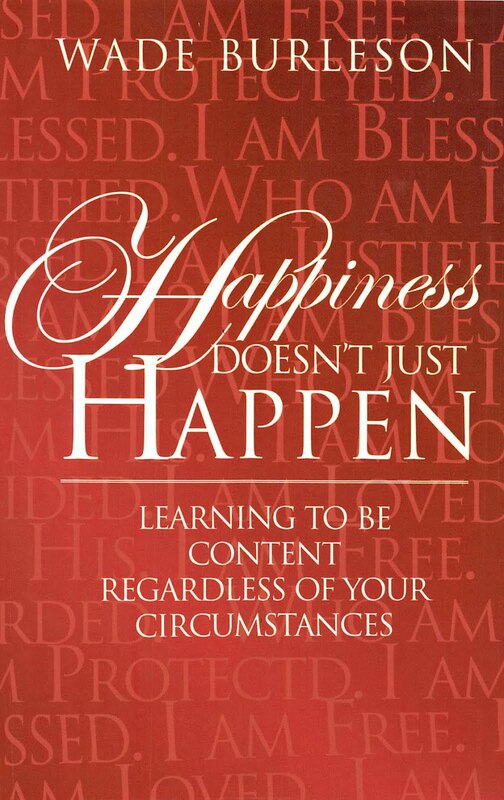 What he is emphatically teaching is that outward circumstances do not have any bearing on our relationship to God. But if we believe they do, then in fact, we are in jeopardy of eternal damnation. Consider Christ words to the church at Smyrna in revelations 2, “I know your affliction and distress and pressing trouble and your poverty—but you are rich.” And his words to the church at Laodicea, “For you say, I am rich; I have prospered and grown wealthy, and I am in need of nothing; and you do not realize and understand that you are wretched, pitiable, poor, blind, and naked.” The parable illustrates the truth that outward circumstances do not prove our inward condition and relationship with God. And yet this is precisely the belief system of those who embrace the prosperity gospel of today, wealth is God’s blessing and approval and poverty is God’s curse and disapproval. May the Lord open the eyes of those caught in the Pharisaical belief system. Speaking of rich preachers.Do you think Andy Stanley and his father have gotten rich off of religion? have you seen a connection between the Lord's Prayer & the parable of Lazarus and Rich Man & the apocalytic vision revealed in St.Matthew 25? ancient Jewish legends tells of a messiah who came and sat outside the gate among the lepers . . . the story goes that this messiah was the one who kept his leprous hands unwrapped at all times so that he might minister and care for those worse off than himself . . .
Great thoughts. Thanks for writing! Good stuff. I do not believe the Stanleys are guilty of the sin of Caiaphas. If getting rich by selling religion is a sin then I fail to see how these two are not guilty as charged. Both are regular TBNers and you can't get through one of their programs without an offer to purchase a book,trip, or whatever so what makes them any different from the other TBNers? I am pretty sure at least Stanley sr has made a fortune off religion and continues to do so. If the gospel is supposed to be given freely then how do they get the free ticket to make a profit off of it? I used to think certain mega church preachers , such as David Jeremiah, were above reproach, until I noticed the money they were requesting to support their ministry and the expense of podcasts and cruises and etc. I still like David Jeremiah and it may cost a lot for evangelical preachers who have ministries in the internet age. It's unfortunate it all comes down to money in some ministries, even to the point of demanding money from congregants to sit in the pew. Also as CEOs some mega church senior preachers are quite wealthy. It is none of my business but I look at the million dollar mansions of an Ed Young or others and I cringe. Ostentation bothers me far more than making a lot of money or being a great businessman. And I am not exactly poor. I quit having respect for Jeremiah after seeing him recently hawking his study bible on the Jim Bakker show from Branson. In case anyone is wondering,the new show is probably worse than his first. It is a steady stream of trying to scare old folks into buying survivor food and anything else this guy can make a fast buck off of. Absolutely nauseating to watch. The Bible says the laborer is worthy of his pay. same way that a preacher doesn't need a million dollar home neither does the layperson. Stay close to the Word. My perception is that you work so very hard at trying to have the best big idea, the best illustrations, the best graphics, the best stories...that the Word itself gets overshadowed and perhaps even, lost. The way the sermon format is set up (Me-We-God-You-We) can actually position a person to focus on the extraneous (although any sermon is capable of becoming self-centered), and then knowing that underneath all of the preparation and delivery lies a soon coming sermon critique (note: this happens every week) ...is enough to send anyone running for the best and most impressive of everything. The Word is the only thing guaranteed to return dividends in the lives of the listeners. In the 30 minutes you have, stay close to it, make it the DNA running through your sermon--coming back to it, digging deep in it, rolling around in it, mining it, looking at it like a glass prism in the sun in all of its delightful colors. Make every illustration, every story, every graphic dance around it. Make it so central, so beautiful, so alive, so intriguing that people leave church anxious to go look up more scripture because the one(s) you shared had such an impact on them. 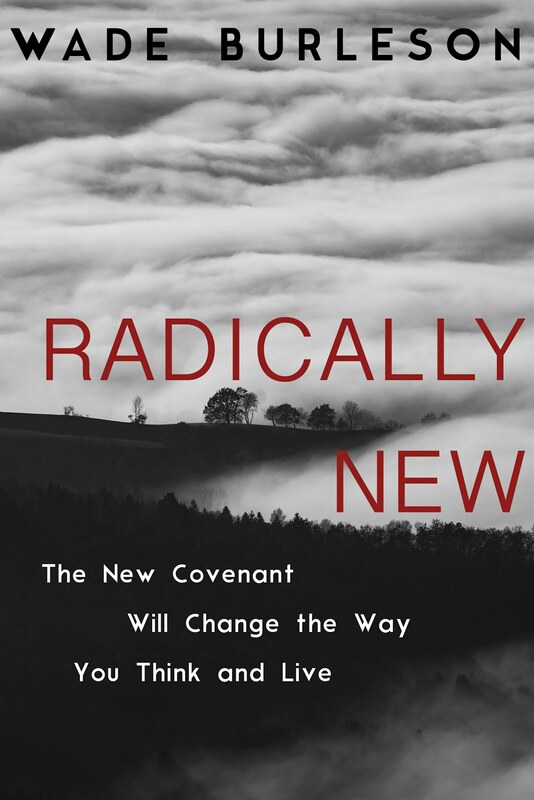 This is how nominal Christians become Christ-followers and how families, marriages, communities, and the world are changed and the kingdom is advanced." My admonition had to work within the confines of the new topical sermon format because it is not going away, but regardless, the teaching of the Word should be central to any sermon, and the centrality of the Word to the sermon is measured by time spent IN the Word (I am not addressing the treatment of the Word--I am assuming that when it is central is it being "rightly divided" for the purpose of this argument). I wonder about the repercussions of this shift from expository to topical peaching. Are we raising up a generation that treats the Word more like a cafeteria where they pick and choose what they want rather than a sit-down dinner where what is served is what is eaten? Are we raising up self-centered preachers who are more concerned with status, stories, and spotlights than "studying to show themselves approved" (I am not referring to Andy Stanley but many younger pastors/teachers who are only know this type of preaching)? These are just a few of my many questions. Thank you again for bringing this important issue to the forefront. It's a conversation worth having. 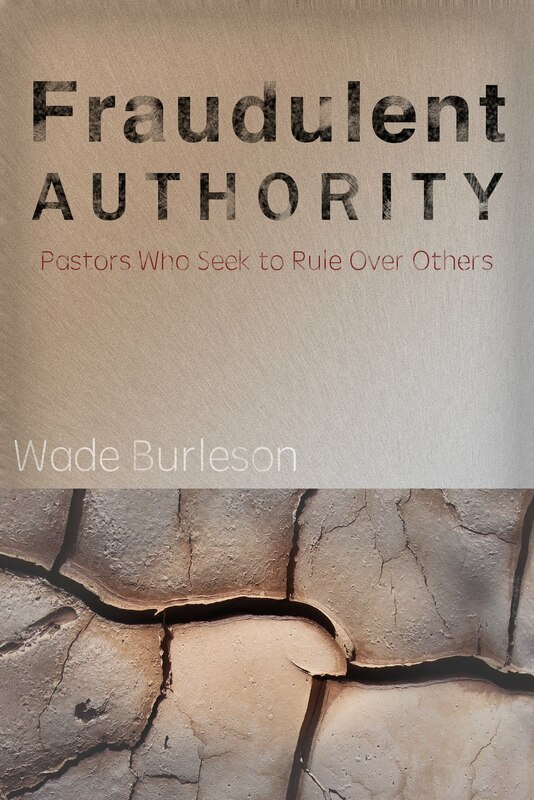 EXCEPT when we see a pastor fall into the worldly love of money, something happens to negate the thinking of others concerning 'respect' and 'authority' of such an individual . . .
the big house and new car become an embarrassment, not a symbol of 'importance' in the Church . . . There have been articles about declining churches , even conservative churches such as the Southern Baptists. I would submit that the money issue may be one of the issues. People don't want to pay money for their salvation and though it isn't described as such, it is corrupting the Evangel, the plain spoken word. When a preacher starts demanding $47 to sit in his pew , the Word has been corrupted. When hypocrisy rather than love becomes a gospel standard, and the bar is raised too high for us humans and even purveyors of those standards, and influential preachers and seminary leaders continue to demand little people live according to those impossible standards, because it is what their "inerrant " doctrine demands, we got a problem. Sure we should all have umpteen children and home school our children and demand our wives stay at home or send our children to expensive private religious schools, but few can really afford this kind of lifestyle unless there is a government subsidy for this. And I am certain it becomes biblical to become a leach on others to pay that tithe. We are told to tow the company line and hate those who are on welfare, yet some us take food stamps so that we can live that gospel standard proclaimed by our leaders. If only we could see what others see and hear what they hear, some of us would go up to that mourners bench. And that blasted peanut gallery being installed at SWBTS. I call it that because it is ten thousand times worse than Charles Schultz. It has nothing to do with Jesus but the glory of men. It must cost a lot to install a comic strip in a chapel. Hope if glorifies and edifies men. Isn't the glorification of men what 666 is all about? For shame , and I will hear about this and it doesn't matter. I am not anonymous. Women like you are a blessing to any church. 1189 chapters in the Bible x 20 verses average maybe per chapter / 5 verses average maybe per passage to preach / 52 weeks per year / 2 different preaching ops per week (ie, AM and PM) = preach through the Bible without repeating yourself in 45 years. To me, expository preaching and topical preaching can be seen as two parts of the same thing. Scripture has its own way of taking root in the minds of people, through whatever way it is conveyed. People- young or old, East or West, highly or little educated, rich or poor, Medieval or modern etc.- essentially have the same major needs to cope with the world, the flesh and the Devil. The Gospel is topical and relevant to all the conditions and experiences of life. What we have to do as preachers and teachers is to let people hear and understand what God is saying . This can be done by relating the great acts of God in Creation or in history , as the Apostles often did, or by personal witness, or by delivering tightly reasoned theological and philosophical discourses. All have a part to play. God has spoken in many ways by the prophets, historians, poets, musicians, sages and story-tellers . No one method of teaching is prescribed as long as the truth of the Gospel of Jesus Christ is conveyed. We know that Jesus himself preferred the parable method of teaching. He often got his audience involved in a question and answer discussion, rather than always bombarding them from the podium with long lectures. A bit of variety and participation from the floor will add to the teaching experience of many congregations. The Spirit of God will work in His own way to convince, convict and convert the hearers. But Jesus also had much to say about the hearer. It is important to have a listening ear, and be willing to consent to, receive, obey and spread the Word. Submissive application is the faith response God desires from the listener. On you website you do call yourself, *Lead* Pastor. Yes? Didn’t Jesus condemn ALL the Religious Leaders? Scribes and Pharisees? 14 ...ye devour widows’ houses, and for a pretence make long prayer..
27 Woe unto you, scribes and Pharisees, hypocrites! .... but are within full of dead men’s bones, and of all uncleanness. ALL the Religious Leaders? Scribes and Pharisees? NOT to be called “Leaders?” For you have “ONE” leader - the Christ? It is so sad that our traditions blurs the lines between man's ponderings about God and God's reality for mankind. Our ponderings on God's word has meant that the true understanding of what was meant has become lost in the overburden of mankind's fears and lack of comprehension and our own self righteousness. One of the things that has always unsettled me in listening to sermons is the tendency of the preacher to superimpose meaning over the text that is not found in the text itself. The meaning of the Lazarus text is clearly about Jesus' concern that people with wealth, who ignore the plight of suffering people, risk Hell's fire. There is nothing in the text that suggests the rich man's rejection of Him was the cause of the rich man's condemnation. To suggest that the Lazarus mentioned in this parable was the same Lazarus that He raised from the dead' is a very creative interpretation, but the Lazarus raised from the dead was not poor or a beggar. We Baptists are so focused on preaching that a person must accept Jesus as our personal savior to escape Hell, that we largely ignore his warnings of being in danger of Hell's fire if we take advantage of, or ignore the needs of, the poor. That's it. And they only did it three times. So the act of raising someone from the dead would have been seen as a very, very big deal. It was not like healing someone of a disease or casting out demons. Lots of people, it seems, could do those miracles. Nope, raising someone from the dead was the big kahuna of all miracles! Let's step back and look at the facts asserted in this passage: Only two OT prophets had raised people from the dead, and these two prophets were considered probably the two greatest Jewish prophets of all time: Elijah and Elisha. If this story is true, the supernatural powers of Jesus were on par with the supernatural powers of the greatest Jewish prophets of all time! If this event really did occur, it should have shocked the Jewish people to their very core---a new Elijah was among them! This event must have been the most shocking event to have occurred in the lives of every living Jewish man and woman on the planet. The news of this event would have spread to every Jewish community across the globe. And yet...Paul, a devout and highly educated Jew, says not one word about it. Not one. Not in his epistles; not in the Book of Acts. Think about that. What would be the most powerful sign to the Jews living in Asia Minor and Greece---the very people to whom Paul was preaching and attempting to convert---to support the claim that Jesus of Nazareth himself had been raised from the dead? Answer: The very public, very well documented raising from the dead of Lazarus of Bethany by Jesus! chronological setting (if one chooses to look them up). .... JN.11 comes BEFORE LK.16.